Living with or being the caregiver, family member, or friend of someone living with a genetic condition can be overwhelming at times. In addition to having questions and concerns, many people will often experience feelings of isolation or struggle. There can also be a desire to learn more, to share experiences, and to be a part of a larger community. 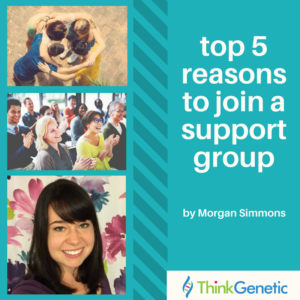 Regardless of how a particular genetic condition has touched your life, it can be helpful to meet or talk with others who have been affected by the same or similar genetic condition – and a support group can provide you with just that: SUPPORT! Musician Harry Nilsson and Three Dog Night said it best in their hit song: “One is the loneliest number”. Support groups can help reduce the feelings of isolation that many people affected by genetic conditions can experience. They can provide a safe place for its members to express both the positive and negative feelings generated by being affected by their condition. The freedom to share these feelings and to identify with one another can help members to recognize that they are not alone in their triumphs and struggles. Even members who have a supportive network of family and friends can find that the group provides them with a place to vent and express their feelings without the risk of overburdening their loved ones. It is also a place where people should never feel judged for asking questions about their condition. The embarrassment or judgment that one may feel while speaking with a physician, friend, or family is absent from this setting. A support group doesn’t just bring together a group of people – it also draws together their wisdom. Each member has acquired not only practical experience throughout their journey but has probably also collected books, articles, and other information on that particular condition. Other members may have seen different disease experts or joined a clinical study for a new therapy. No one is an “medical expert” per say— but everyone has valuable knowledge to share! Most humans learn best through interpersonal relationships, and a support group is an added circle of friends. It can be a place to talk, laugh, and cry about life with a genetic condition — with others who will listen, laugh, and cry with you. These groups can also establish strong and lasting friendships among its members. Support goes both ways, and it’s important to have members who are at different stages in their journey. By sharing your personal experiences with others, you can have a positive impact on the journey of someone else in the group. Sharing your knowledge and resources, talking about how you cope, and providing a different perspective can enhance their self-esteem. So, now that we’ve highlighted just a few of the many benefits of going to a support group, you may be wondering how you can find one that is right for you. Well, ThinkGenetic has done some of the work for you! Ask Gene on your disease page or the Ask a Question feature if there are support groups for your particular genetic condition, and it will provide you with information on how to get in contact with one. Support groups aren’t a replacement for regular medical care, and we recommend that you tell your doctor that you’re participating in one. If you find that a support group setting isn’t right for you, but still would like help to cope with your condition or situation, ask your doctor about counseling or other types of therapy. 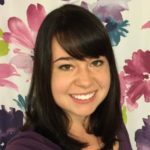 Great article, Morgan! Thank you for highlighting the importance of support groups! Of course, Ruth! Support groups can be hidden gems for families with genetic conditions! Thanks, Morgan. As a member of the Cutis Laxa study in Pittsburgh, it was nice to meet others with the same disorder and share stories and unique features we have without feeling odd. You’re very welcome, Dave! I’m glad that you were able to connect with others who have cutis laxa. As much as healthcare providers can read and listen to their patients, advocacy/support groups can often provide that experiential knowledge that we’re lacking.